By Jon Tewksbury Posted: September 14, 2018 11:00 a.m. Since 1983, a made-in-Saskatchewan international volleyball exchange program with Japan has seen scores of student-athletes advance their skills, as well as experience different cultures and the larger world… and go on to become USports head coaches. The exchange program was the brainchild of Mark Tennant, former head coach at the University of Saskatchewan. Melanie Sanford, Cougar’s women’s volleyball head coach and a former exchange participant under Tennant’s watch, brought the program here in 2004; it’s been a key component of women’s volleyball at the University of Regina ever since. Sanford believes that the exchange creates a valuable experience for student-athletes who would otherwise not have the opportunity to travel to Japan. She should know; Sanford is a former student participant in the exchange program. 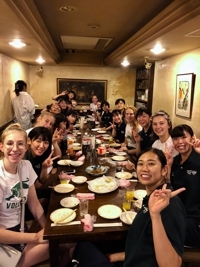 This past August, the Cougars’ women’s volleyball team traveled to Japan to visit the University of Tsukuba, Aoyama Gakuin University, and the Japan Women’s College of Physical Education. Their ten-day excursion took them from downtown Tokyo to the prefectures of Chiba and Ibaraki, as they toured city and countryside while honing their volleyball skills. The team has made the trip overseas four times with Sanford as head coach, while the Japanese schools have visited Regina on three occasions. 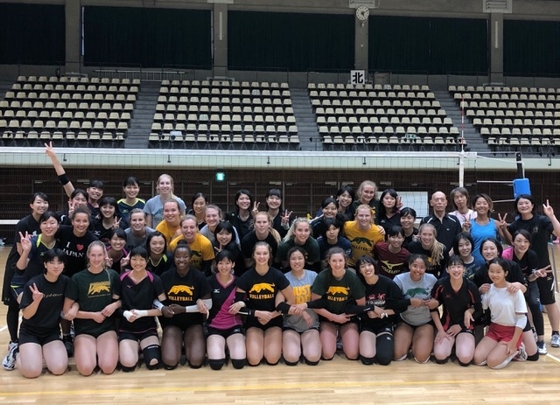 Next August, the University of Regina will host the Aoyama Gakuin University Women’s Volleyball Team as they travel from Tokyo to the Canadian prairies. “My goal as a coach at the U of R,” says Sanford, “is to organize this trip every 4-5 years so every student-athlete going through our program can go to Japan, grow as an athlete and as a person, and be a part of something very, very special."